Casual workers are to be given payslips for the first time, while students in poor quality accommodation get new powers to take exploitative landlords to court. “Anyone can suffer from a stroke. It’s vital to get the right treatment fast.” - A local Councillor is challenging a decision to locate a stroke unit over an hour away. Casual staff and workers on zero-hour contracts face job insecurity, but new legislation in force this week aims to protect their pay packets from employers’ mistakes or duplicity. City AM reports that nearly 300,000 workers are now entitled to payslips setting out rates of pay and hours worked, so staff can easily see whether they are being paid at least minimum wage. Student accommodation is notoriously basic, but new figures estimate that one in five students live “in squalor”, and landlords turning a hefty profit while providing poor quality accommodation could face legal action. New rules give student tenants the power to take homeowners to court where they fail to address serious defects, the Mirror reports. A say for all UK? How different would the Brexit referendum have been if everyone in the UK and Brits abroad could have voted? We’ll never know, but MPs, peers and charity leaders are calling for new legislation to extend voting rights to EU citizens living in the UK and UK citizens residing overseas. In an open letter in the Independent, the group says current laws "shame us as a society". When someone dies in the custody of the state, questions have to be answered, and equality of arms is a big part of that. But bereaved families will be distressed to learn that only £92,000 was granted through the exceptional funding legal aid scheme in 2017, while £4.2m was spent on representation for the prison service at inquests, the Law Society Gazette reports. The medical profession rallied behind Dr Hadiza Bawa-Garba when she was convicted of gross negligence manslaughter after a 6-year-old patient died from sepsis, arguing amongst other things that the General Medical Council “scapegoated” her. Now, the Medical Practitioners Tribunal Service panel has cleared Dr Bawa-Garba to return to work, subject to enhanced supervision, the Telegraph reports. Supporters of Dr Bawa-Garba raised over £300,000 on CrowdJustice for legal representation. 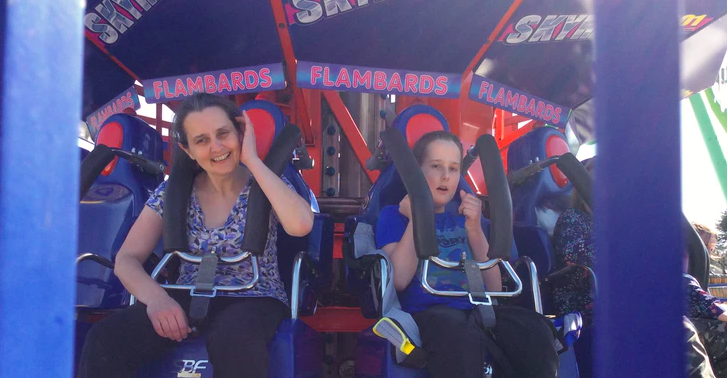 Mum Rachel George is raising funds for legal costs incurred in fighting for a theme park to provide accessible toilet facilities for her son, Adam; traders at the Latin Village in Seven Sisters Market are fundraising to save the market from demolition; and students of a former teacher are raising funds to challenge a decision to ban him from teaching.